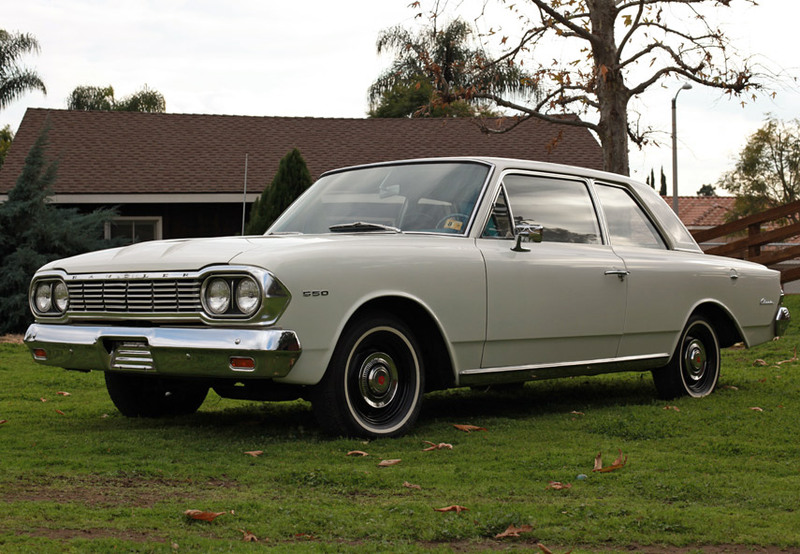 The Rambler American was built by AMC, a company that George Romney was acting president and chairman of the board from 1954-1962. 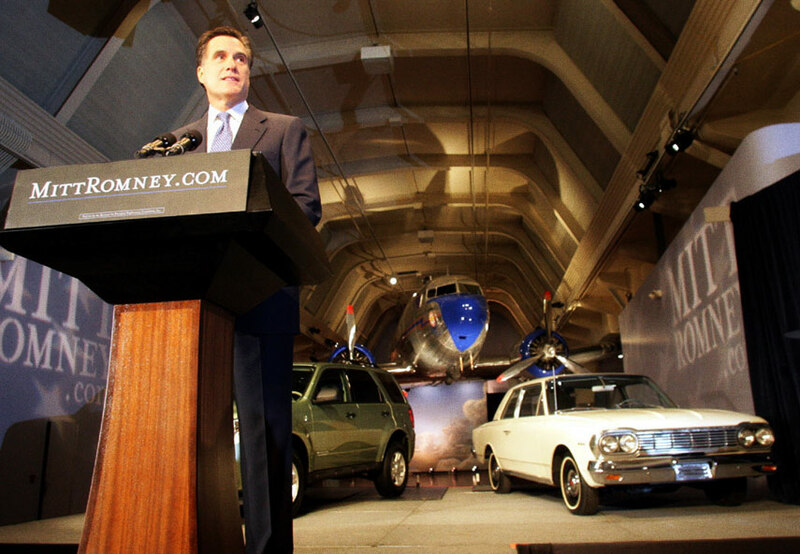 Many years later, his son used that exact same car as a background in an election campaign event located in the Henry Ford museum, on loan from the Chrysler museum that it lived in for many years. 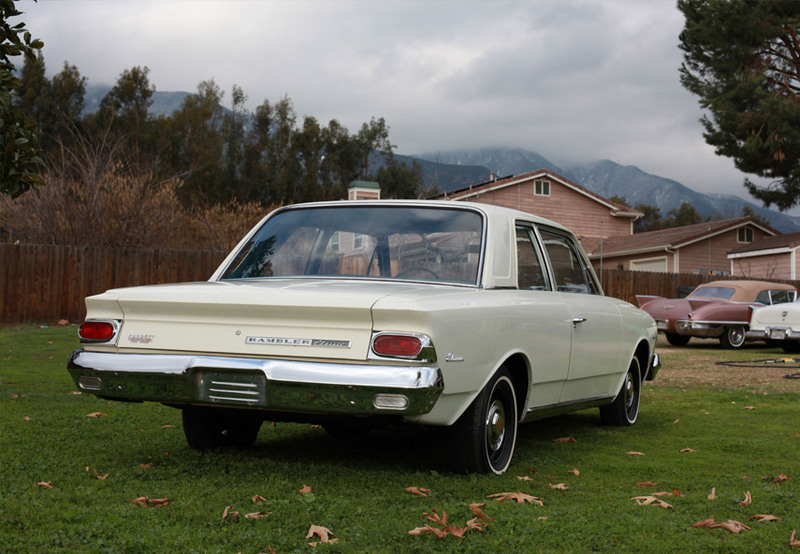 This Rambler is equipped with the 3.2 liter inline 6 made famous for its gas sipping results in the coast-to-coast Mobile fuel economy competitions. 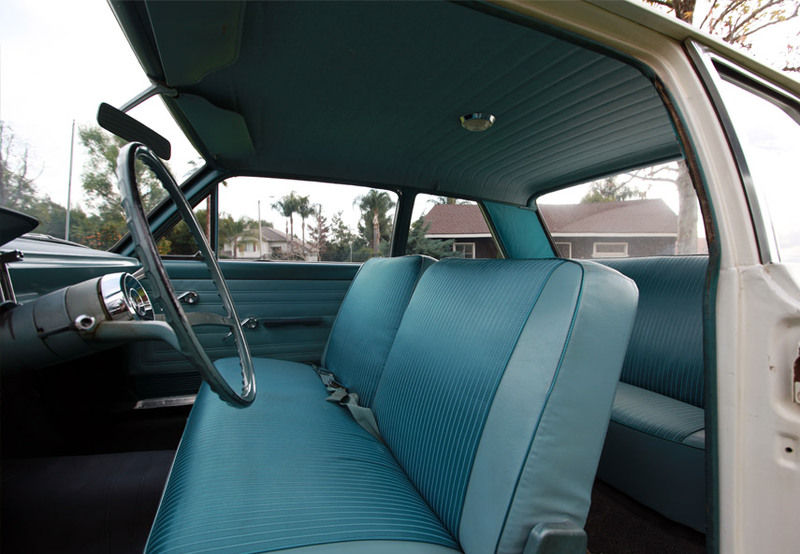 When new, it isn't equipped with the roof mounted dog carrier that the Romney family used many years later, probably to save on highway mileage. Our only complaint with this car is that it promises to deliver an exciting experience (and will always appreciate etc) but we can't seem to get any real details from it. No specific plans on how it will enrich our driving lives or why the market on failed presidential candidates cars will always be golden. All we know is this thing has a spot next to the Micheal Dukakis armored personnel carrier in our back yard. ~ one extremely nice 'Blur. i think George extended AMCs pre-Iaccoca life somewhat, although it matters not at all today. the 232cu.in. engine, from the 199 to 258/4.0 Jeep lump is one of our most durable. don't know if Romney connection supports $10 grand but i would like to own this unit, politics be damned. good research on photo location, my bad. ~ and my top-o-the-heap best pop culture Rambler footnote!!! ~ winning bid: US $13,400.00 - used Camry money.